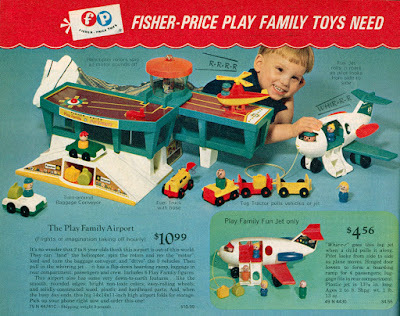 Alien Explorations: Space I (1976) (work 328) references the Fisher Price Play Family Airport (1972) with Fisher Price Family Fun Jet ? 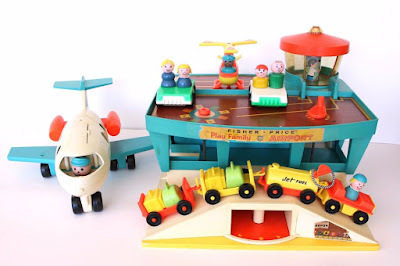 with Fisher Price Family Fun Jet ? 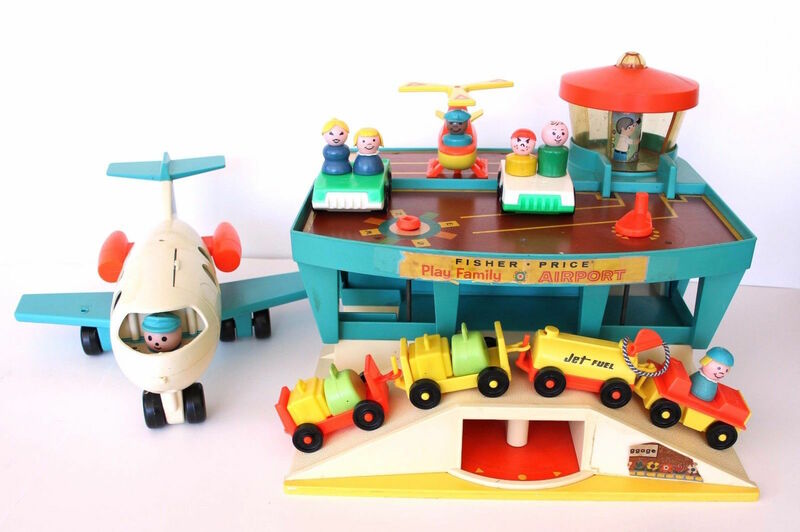 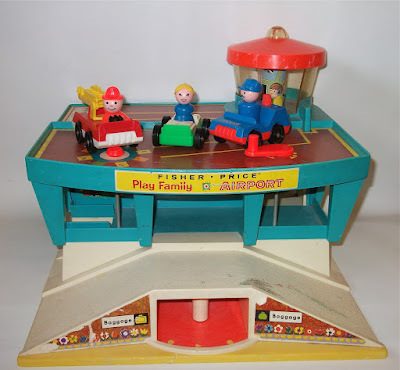 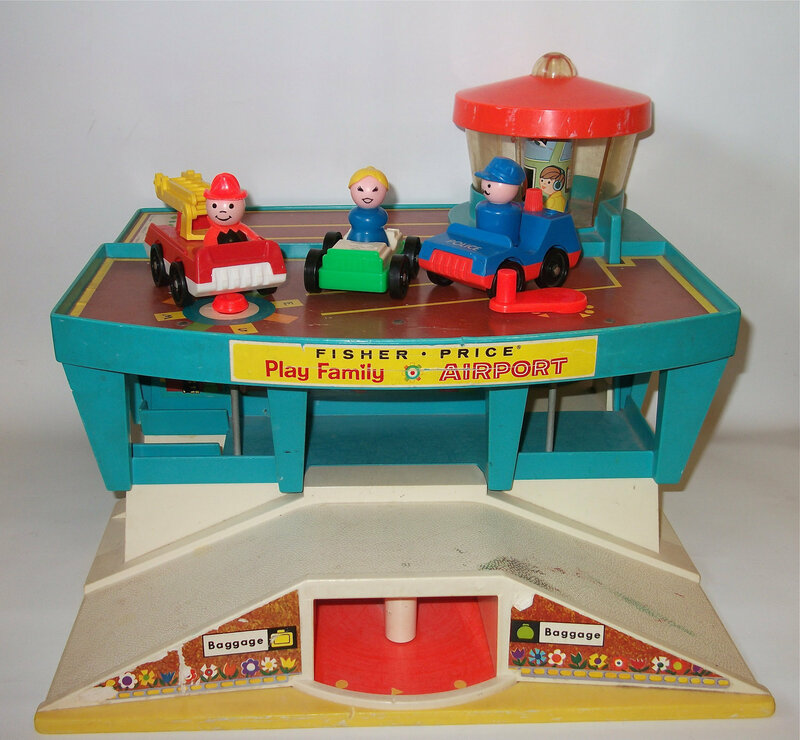 I would love to say that this has elements of the 1972 version of the Fisher Price airport and aeroplane. 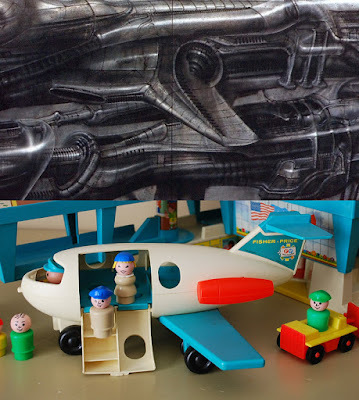 Back on the 19th, I decided that Giger would have been inspired by this toy, because of its strange architecture, long hallways, slopes and the swivel etc, and the bulbous jet planes with stubby wings, but whatever connections I might want to make are generally not easily perceived, you might assume that I'm just trying to imagine it as a Fisher Price toy for the sake of it and then I looked at Space I, in terms of it's abstract content and the time it was painted and decided that somehow this must be the painting that somehow he referenced the airport toy set in and while later I began to see a point of connecton. The bannisters of the staircase on the left side of the airport (visible on the right from the rear view) become a sheath like form with an open top supporting the end of a long structure above. 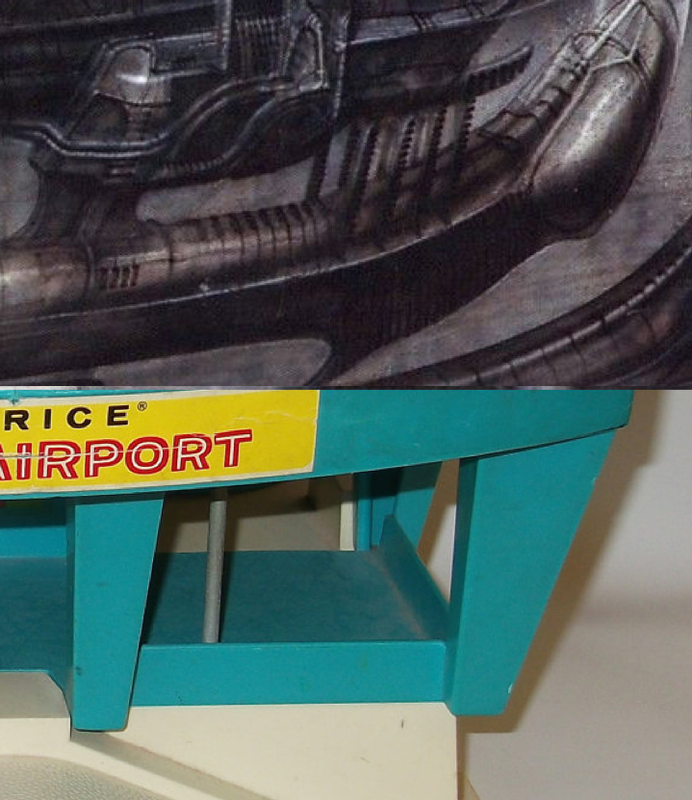 The sides of the entrance are widened. 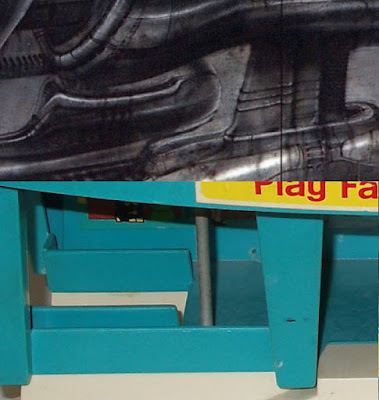 The vertical bar to the left of the the entrance becomes integrated into the left support at the side of the entrance. 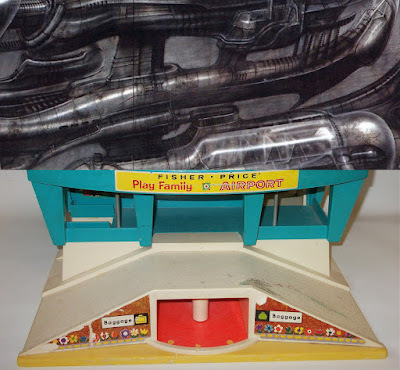 The bar to the right that is connected to a hand to rotate the wheel to move the becomes multiplied and perhaps the right supports of the building are turned into rods as well that appear to hold a phallic sea creature with a tail like a phallic gondola beneath a phallic balloon like structure. 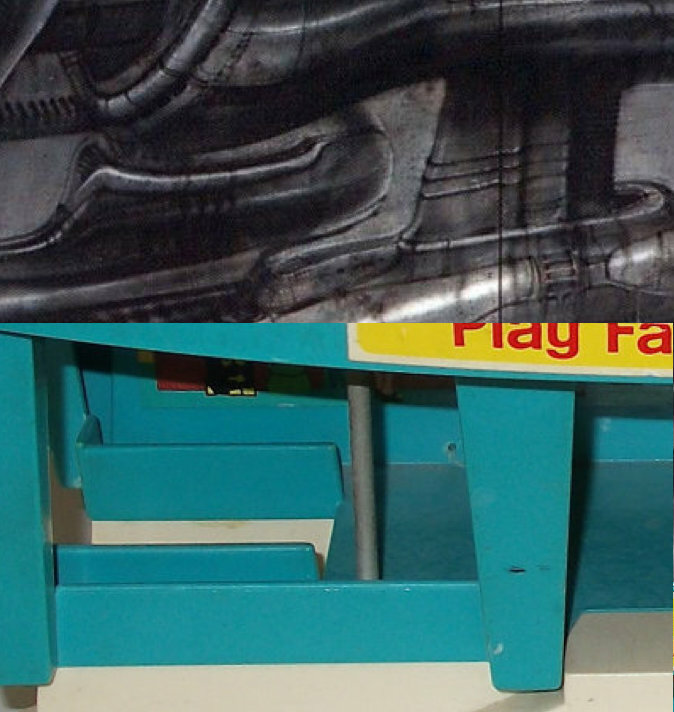 Nothing of course is easy to describe, let alone label. 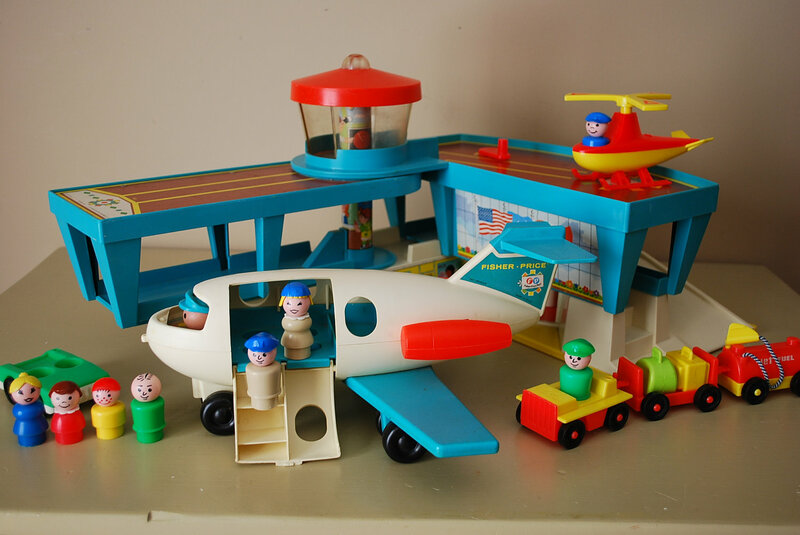 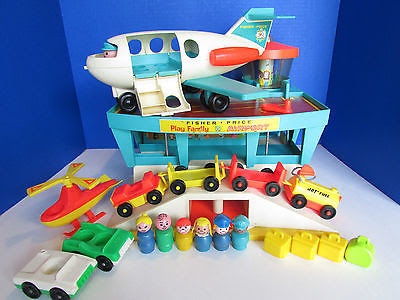 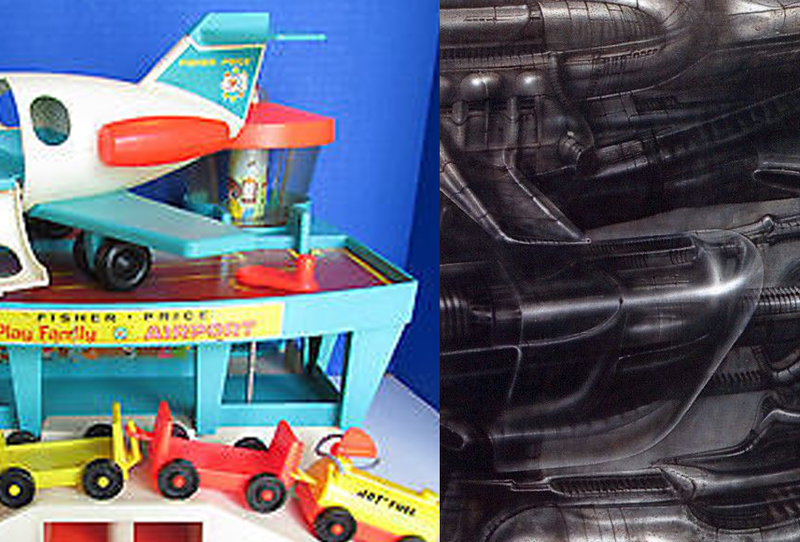 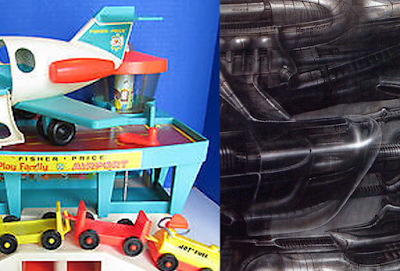 Perhaps even the Fisher Price jet plane has been integrated into the picture where stubby wing like forms can be seen, and one would have been included in the set. 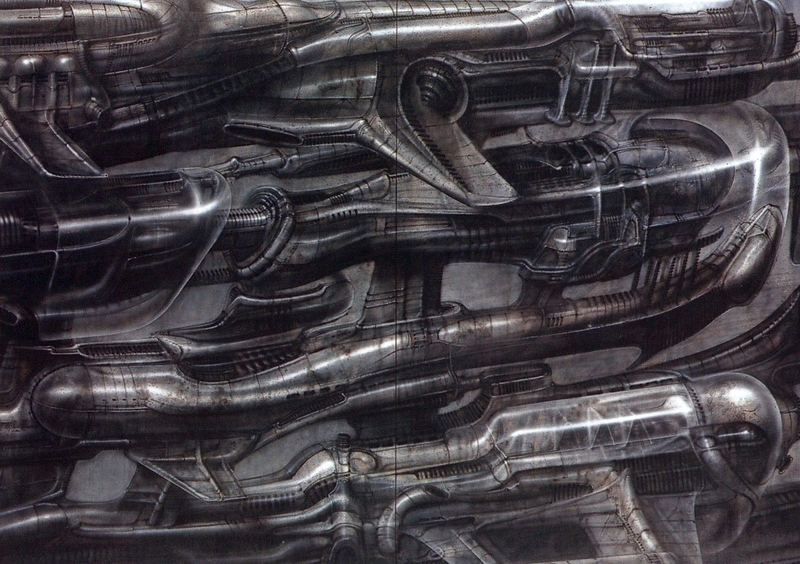 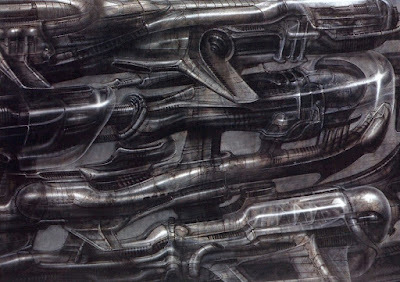 Perhaps Giger has placed an aeroplane on the roof of the building (as in the photo above) to mix up the forms. 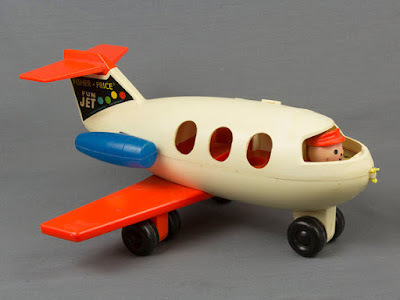 Fisher Price Family Fun Jet.